NEW YORK, Aug 25, 2014/ — Though it was in 2000 when FashionWindows started covering Zang Toi, it was not until September 2002, during the Spring 2003 season that I finally met him. Maybe, one of the reasons for it is because I have always admired Zang’s work. Having begun my career as a fashion journalist in Paris covering haute couture, I immediately recognized the artistry and workmanship in all Zang Toi collections are at par with what is being shown on the Paris catwalks. Season after season, Zang demonstrates the wide range of his design prowess. With eclectic inspirations that can vary from places like the African Serengeti to 1930s Shanghai or even historical figures like Marie Antoinette and her mother Maria Theresa of Austria, Zang pushes the envelope to create highly covetable silhouettes for his very discerning clientele. With Ivana Trump, Sharon Stone and Patti LaBelle, among others, wearing Zang Toi looks today, it is hard to imagine that in 1989, Zang is living and working in a small apartment in Manhattan. His first collection was composed only of 13 pieces, which he always calls his Lucky 13. While that distinction made Zang Toi a fashion darling overnight, it did not go into his head. A believer of Coco Chanel’s “fashion passes, style remains,” Zang remained true to his core philosophy – design clothes that make women glamorous. Never wavering, his core design philosophy became his rudder through the years as Zang evolved the “glamour” element into perfectly tailored suits, chic cocktail dresses that celebrate the female forms and luxurious oversize sculpted coats that fit all body types. His signature hand loomed cashmere and silk cardigan wrap with Saga Royal mink border and matching sleeveless turtleneck is now a must-have in all Zang Toi ladies wardrobe. Still, it is Zang’s evening gowns that always bring down the house. His glamorous evening gown always marks the arrival of a Zang Toi lady. Catching up with Zang Toi on the penultimate week before fashion week, he gives FashionWindows a sneak peek of his Spring 2015 collection, which is also his 25th anniversary collection. “I will be paying homage to America at my 25th Anniversary Runway Show A Privilege Life: The American Dream,” revealed Zang. 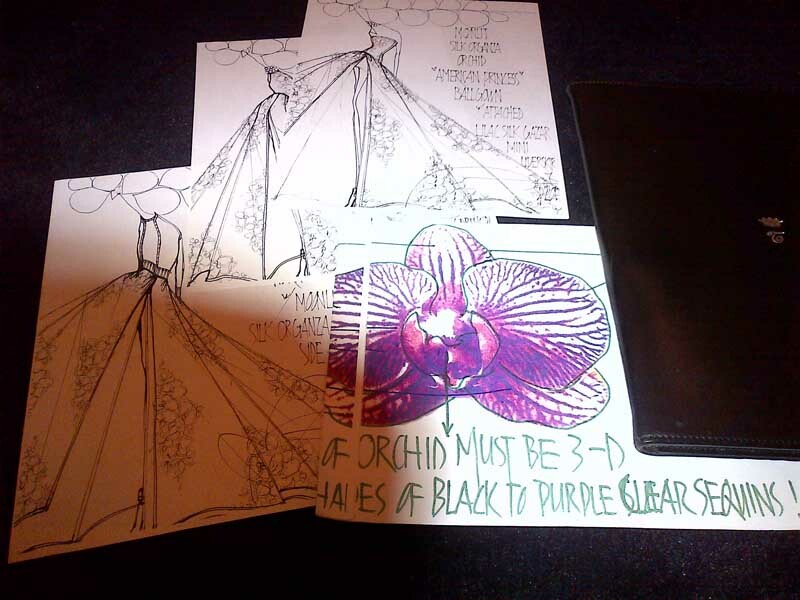 And looking at the sketches alone, it is going to be a quintessential Zang Toi collection – full of glamour and head turning looks.